Life can be tough for wildlife, constantly on the lookout for food and shelter in an endless struggle for survival. 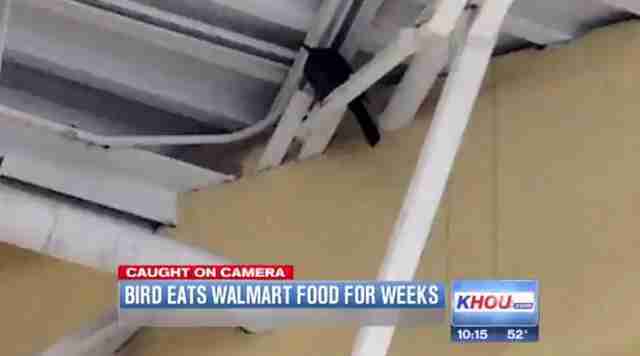 Perhaps that's why, after a bird wandered into a Texas Walmart and noticed the vast array of dining options lining its shelves, it decided to stay. 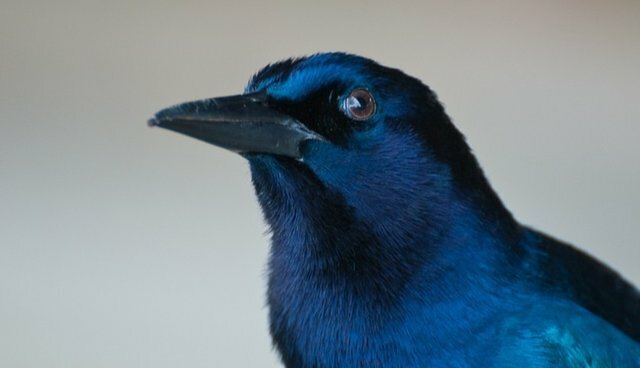 According to KHOU, a lone grackle somehow managed to elude detection from employees when it entered the store and took roost in the building's rafters. It wasn't until a shopper, Ranell Roy, spotted the bird feasting in the bread aisle that its freeloading lifestyle was found out. Roy snapped a few photos and assumed the bird would leave on its own. But when he returned to the store a week later, he saw it yet again, helping itself to some steaks. This time, Roy pointed the bird out to Walmart staff, who apparently had failed to notice it before. "It's been gaining some weight," Roy recalls. On his third visit to the store in as many weeks, even after employees had been notified, the bird was still there, roosting in the rafters, quietly planning its next meal of prepackaged food. 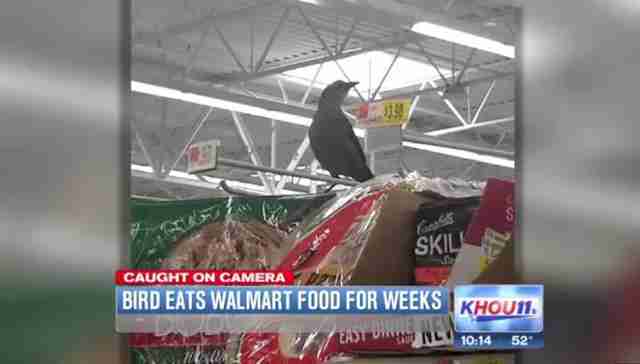 It was only after a local news station pressed Walmart headquarters for a response that the bird was finally captured and evicted -- forced to find food the old-fashioned way like the rest of its flock.